Y/N is a high school student who accidentally texts the wrong number. While she certainly didn't get the homework that day and was scolded for it afterwards she did get a new friend. At least that's what she thinks he is. Levi also a high school student is homeschooled. He most certainly does not think that Y/N is a friend. Just an annoying brat who won't stop pestering him. Although they have their many differences they do eventually start to grow closer. For some unknown reason they begin to get feelings for each other. Maybe it was the memes maybe it was fate. The question remains who will bridge the gap between them and say what both are thinking? 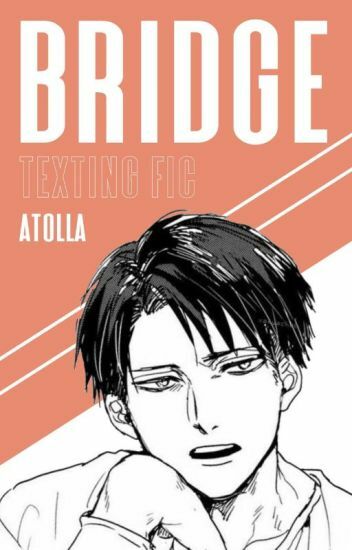 You hated Levi Ackerman and he hated you.But once you knew that you two had to be roomates,you both freaked.You guys wouldnt stay in atleast  3 feet from each other.But what if something happened to you?Would he help you or just ignore you?Read it and find out! What Will Happen When, You Found Out. that The Captain Has A Crush On You? Levi is a celebrity who has just suffered through a heartbreaking loss. Y/N happens to walk in on a grieving Levi and, attempts to approach him but fails. Several months later, neither of them have forgotten their brief encounter and wonder how the other is doing. Y/N decides to finally put an end to her constant wondering over what Levi was crying about all those months ago, and invites him on a road trip. Join these two and their oddball group of friends on an adventure with several detours, and one or two cows. "you know you sound a lot like her." When Y/N went to study abroad in America she didn't think that it would be this hard. What happens when they both find each other once more? (Y/N) (L/N) was a strange one, alright, but she was like no other the Scouts had ever seen. On the battlefield she was fearless, but within the walls, she was but a mouse. The soldiers seem to fear her. "I have always been a dreamer"
"Just then an angel wearing nothing but gucci walked in." As if being accepted for the latest run of the hit show Corps House isn't crazy enough Y/N finds herself surrounded by the most gorgeous person she's ever seen. Levi can't believe he's falling in love with a dumbass. Can Y/N woo him over with out dated memes and overwhelming love? Or will he fall for another one of the housemates? This fanfic will be a little different so you are a girl that was trapped in a place for your whole life. Your parents where killed as soon as you where born by humans. You are not human obliviously, you have magical powers and that's why the humans took you and trapped you in a place of misery your whole life. There was another person there, a boy. You feel in love with him and you guys did everything together... Until the humans killed him. Before they killed him they put a curse on you. The curse what that if you see your love die your heart will stop beating and you will loss all your emotions. But before that happened you escaped into another dimension where they never found you. The only way to brake the curse is a true loves kiss, and that's when you met Levi. You are a young girl.No more than 16.Your sister,Hanji,likes using you as a lab rat.One day,she makes a mistake and everything goes wrong and you can't fix it!Your sister abandons you and you are left to die.But you meet a man called,Levi.He is 17 and he takes you in.But what happens if you start to fall for him?